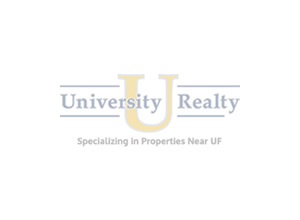 Great POOL home with the perfect central Gainesville location on a direct bus line to UF & walking distance to GHFC! This home features 3 official bedroom & 2 baths. With TWO additional areas that would easily convert to bedrooms. These flex spaces would also work great as an office, playroom or media room-what ever your needs you have all the space you will ever need right here! This home also has a fantastic pool, deck with gazebo and an almost 1-acre yard for all of your entertaining needs. Can you imagine the BBQs and pick up football games happening here? The kitchen was updated to feature a gas stove, granite counter tops and plenty of storage. The kitchen leads to the formal dining room that has a cozy gas fireplace and french doors leading to the pool. The family room is large, has wood flooring and plantation shutters. Home has a metal roof, new water heater, new exterior doors & new exterior paint. This home has so many amazing features and potential. Call to schedule your private showing. Under Contract Back Up Offers Accepted.